I was shocked to hear of Antonin Scalia's death this weekend. Born in 1936, Justice Scalia was just a few weeks shy of his 80th birthday, but he always seemed so full of energy that in my mind I thought of him as much younger. 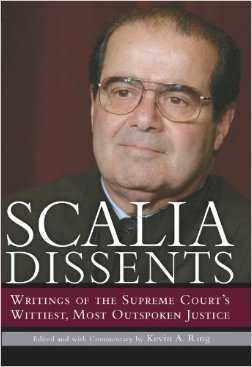 He served on the Supreme Court since 1986, and his rulings, and specially his dissents, have earned him the reputation of being both brilliant and witty, often scathingly so.This book, published in 2004, is a framework for a collection of excerpts of Justice Scalia's legal opinions and overall gives us insight into his conservative philosophy. It is very readable to us non-legal laymen. Justice Scalia will be deeply missed.